Please choose your size carefully. 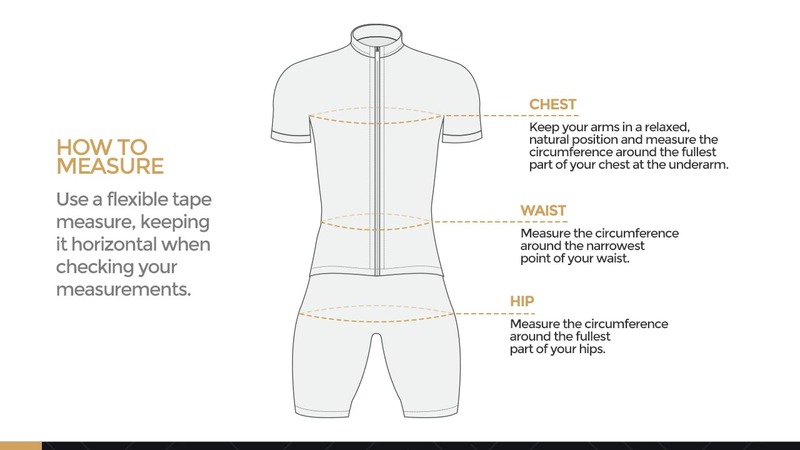 Please contact us if you require assistance with sizing or are unsure which size would best suit you. Our manufacturing process. There may be some slight differences between the images displayed here and the final product due to screen displays and the manufacturing and printing process. 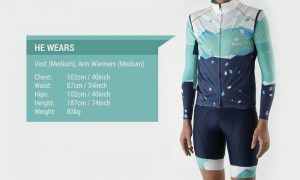 If you are not entirely satisfied with your Bzak Cycling product, please return it to us unworn, in its original packaging and with tags intact and we will provide a full refund. Please note: Shipping is an additional cost. Shipping within Australia is via Australia Post Express Post at a flat rate of AUD$15. Shipping to international customers is via Australia Post International Express at a flat rate of AUD$35. (Prices on this website are in $AUD. All deliveries are despatched GST paid, where applicable). 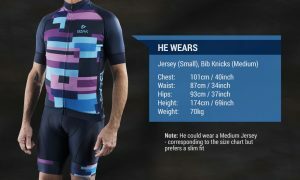 Unisex sizing: We recommend men select the same size as their jersey and women select one size smaller than their jersey size.